Tedboy | Wholesome Goodness. Wholemeal, wholegrain or wholewheat? Guess what, they all refer to the same thing which is bread made using unrefined ‘wholegrain’ flour. Whole grain typically refers to an intact grain that has the whole parts: bran, endosperm and germ. Bran is the fibre-filled outer shell; endosperm provides energy for the seed and the germ nourishes the seed. The term wholemeal has been used traditionally to refer to milled or ground whole grains, such as wholemeal flour, which also has the same three components: bran, endosperm and germ, eventhough in a different physical structure or appearance. So are they the same or not? Logically, they are! But why do they look different? If you noticed, wholemeal looks brownish, because wholemeal bread is made from wholegrains that have been milled into a fine texture and a brown appearance. The wholemeal flour contains more fibre than white flour, aids faster digestion and has a higher glycaemic index (GI) than wholegrain. Wholegrain bread contains the entire grain, and gives a denser flour base with lots of grain and seeds. It has up to four times of fibre of white breads, so this is the healthiest option! As wholegrain breads are low GI because seeds and grains take longer to digest, hence the slow release of energy keeps you full longer. So what should I choose? As not all bread or products are created equal, we would advise to look for heavy, dense breads with lots of grains and seeds. Look out for food ingredient labels before making your purchase. The less unknown synthetic names on the label, the better! What does Tedboy offer? 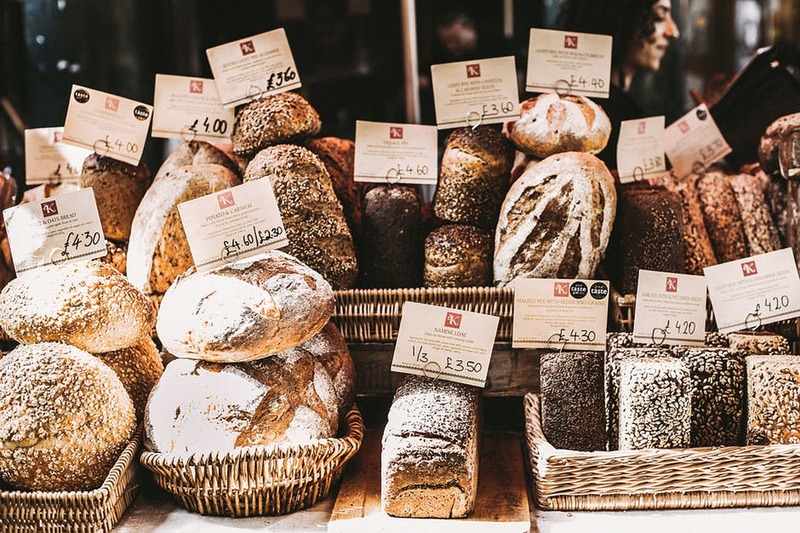 We offer many variety of loaves to our customers, and all our loaves are baked fresh daily, so if you come in the morning, high chances the bread is still warm from the oven. We using premium flour by Prima (http://www.primaflour.com) with stringent quality control and assurance on consistent quality products. Wholemeal Multigrain Loaf (using Prima Superfine Wholegrain Flour) and many more! Check out some of Prima’s recipes using wholegrain flour: Prima Recipe We all want to eat a little healthier in this modern era. While we need not go extreme the next day, baby steps will lead us there eventually. Why not start with a switch to a healthier wholegrain loaf?